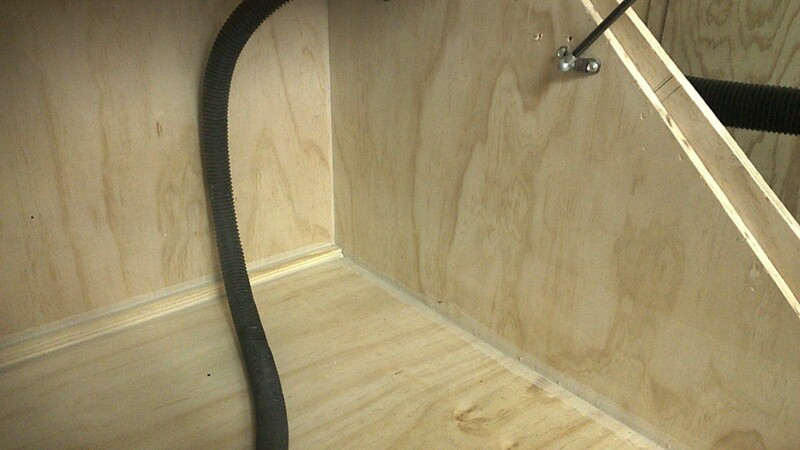 Will a simple piece of plywood that spans across the back keep the chain from sliding off the rail? The adhesive isn’t doing its job. 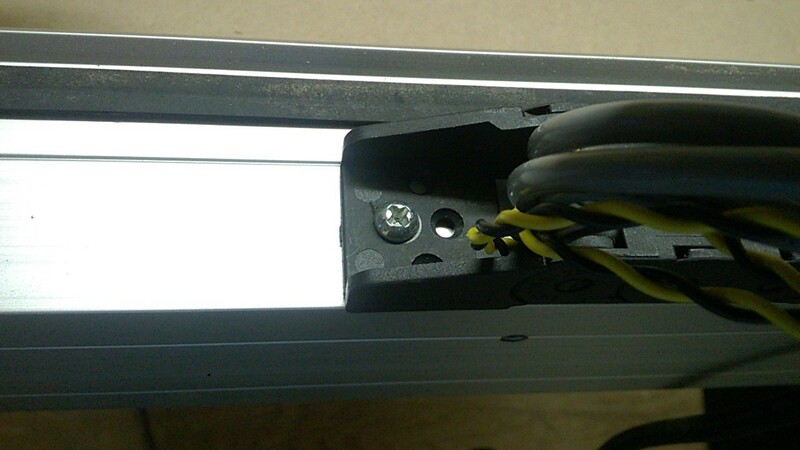 I drilled a hole and used a small screw in place of the tape. Didnt get alot of time in this weekend but i did seal the inside of the enclosure with liquid nails while i still had the machine out. [image] Heres a few pics of how i did the drag chain.The one end is pretty basic the other end on both sets i mounted the link and then the chain mounts back down onto it.Both ends just used a 4mm tap to thread the holes. [image][image] Thats pretty much it for this weekend. Please note that the VHB adhesive is only good for one use, and requires some curing time to achieve full bond strength. In the same boat…considering the same things-a fastener and a bracket! The VHB Adhesive was clamped tight between the chain and the rail for a day. 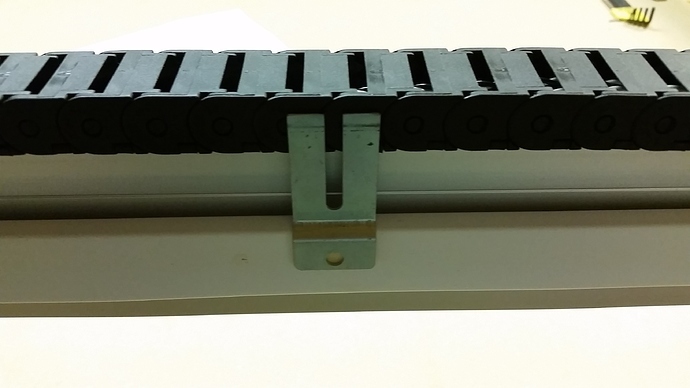 I am not yet sure how to attach the ends of a fence to the top of the two sub assemblies on the end of the x-rail. 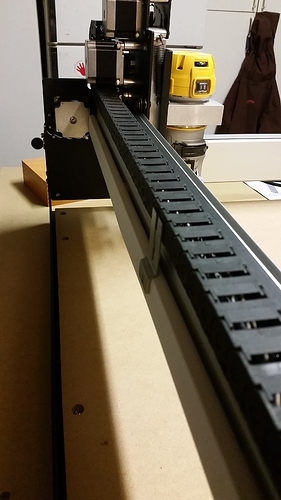 I could simply 3D print a few parts similar to a bracket. There are many possibilities. I cleaned both of the application areas with an alcohol pad, let ti dry for 15 minutes then applied the VBH, and clamped over night. but this was done inside where the temp was 73 degrees, and after 3 months my SHapeoko moved to a Jalousie porch without climate control…I am sure the heat/cycles took its toll on the adhesive…Mechanical Fastening to the rescue! Extra drag chain - where to buy? I just bought the drill and tap kit, but they didn’t have the machine screws… the store down the street, Fastenal, opens at 7:30am. 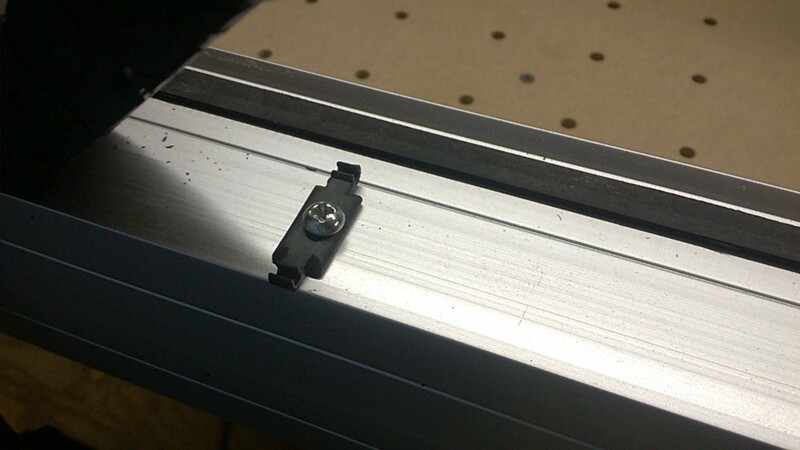 Two holes were drilled and tapped on the top of the X-rail.